What are you doing this weekend in Budapest? Its beginning to look like spring in Budapest: the weather is still chilly, but the sun shines more and this gives inspiration to many families, groups or couples to fill their weekends with exciting but relaxing programs. We will give you a few tips on where to go in Budapest this weekend. If you dont feel like being outside all day but still want to leave your accommodation, we recommend you to try a room escape game. Room escapes have their renaissance in Budapest: you will easily find one for your taste and priorities. Most are excellent choice for group of friends, small companies or even for couples, but families are also welcome on many spots. Do you want to solve puzzles wich include cute candys or are brave enough to try a horror-themed roome escape game? Either way, you wont be bored. Springs here, so get back on track! As springs near, Budapest has a very nice weather, so its no wonder if you preferred moving around a bit outside in the fresh Buda air after you ve got out of a room escape game. Locals love to make trips to the Buda Hills or to Normafa, but going further away from Budapest brings also surprise and fun. The best example is Szentendre, a charming city on the shores of the Danube, near Budapest. Visiting Szentendre is a perfect one-day or weekend program, should you bring your partner or family, its always a good idea to get out of the hustle and bustle of our beloved Budapest. Take suburban railway (HÉV) or boat to get to this beautiful place, or, if you want to keep fit, choose biking and stick to the bicycle route that runs along motorway Nr. 11. Blinded by the beautiful Budapest? 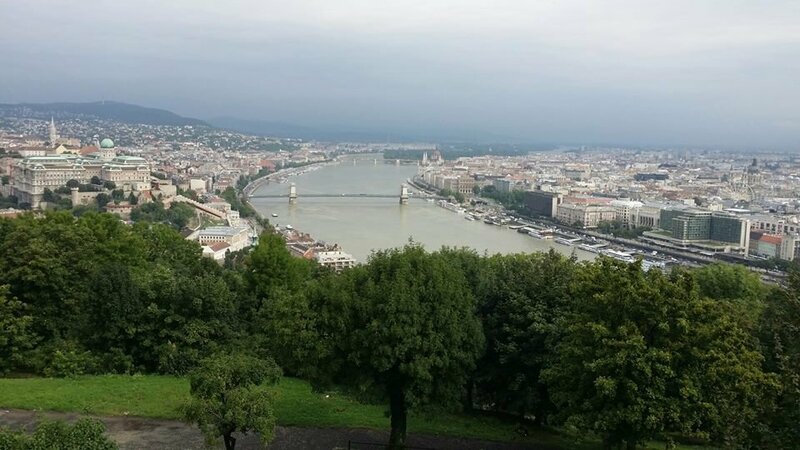 Do you think youve seen all the major sights and everything worthy in Budapest? Were almost sure its not true if you missed The Invisible Exhibiton (in Hungarian: Láthatatlan Kiállítás). This unique place offers you, among others, the opportunity to experience what its like to have dinner in perfect darkness. You will be able to understand how people with no sight live their everyday lives. Ill be exciting to relay on your other sences and solve everyday tasks as they become a challange. Even though it might sound rather frightening, The Invisible Exhibiton lets you laugh about your self and thus, understand your own limits as well. Dont leave your travel buddies or kids in the hotel: its a very friendly and fun place. They even offer guides in many languages, so in spite of total darkness, you wont be lost. Budapest is a lovely capital city where families and school groups find relaxing and interesting programs as well. Wether you are with friends, classmates or just travel buddies, Budapest is a perfect choice. Have you ever taught about a Central-European round trip? Learn more on Centreal-European round trips here.